When it comes to identifying which of Bobby Terry’s many strengths as an in-demand producer, hit songwriter and multi-instrumentalist ranks at the top, the Three Hounds Music songwriter says it’s his innate sense of knowing when something is wrong. Terry’s tenacity recently paid off when he and songwriter Matt Rossi collaborated on a song that would go on to become Garth Brooks’ current single, “Stronger Than Me.” The songwriting duo wrote the song specifically to pitch to Brooks as a tribute to Brooks’ wife, Trisha Yearwood. The lyrics came fairly easily, Terry says, because they had heard Brooks talk frequently of his affection for Yearwood. Before pitching the tune to Brooks, however, Terry wanted to spend time listening to other songs that Brooks had recorded during his career. The dedication to detail led to Brooks quickly recording the song and then debuting it with a live performance on the CMA Awards in November 2018. The songwriting win is the most recent in a two-decade career that includes cuts by the likes of Tim McGraw, Brad Paisley, Montgomery Gentry, Lonestar, Trisha Yearwood, and Faith Hill. 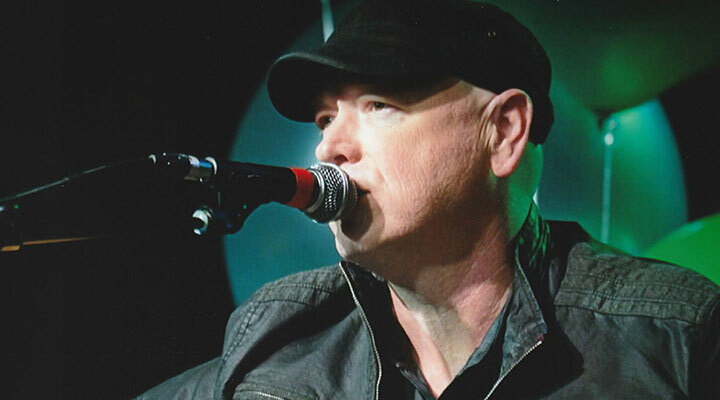 Along the way, Terry has racked up credits that include being the solo producer and musician on Anthony Smith’s critically acclaimed Mercury Records debut, “If That Ain’t Country,” which enjoyed several Top 40 hits at country radio. He also produced and wrote on Trace Adkin’s “Greatest Hits” album on Capitol Records. Terry also is known on Music Row for his talents as a multi-instrumentalist. His reputation for playing all of the instruments on almost every record he produces has made him a highly sought after session player. He has played on records by a Who’s Who of popular artists, including Willie Nelson, Darius Rucker, Love & Theft, John Fogerty, Aaron Lewis, Toby Keith, Casey Donahue, Uncle Kracker, Jamey Johnson, Alan Jackson, Craig Campbell, Alabama, Dolly Parton, Luke Combs, Joe Nichols and more. Having the ability to play many instruments definitely helps Terry when, as a producer, he hears something that he identifies as wrong in a record. These days, when he isn’t in the studio playing on other artists’ records, he spends his time with new artists, producing them and helping them develop their sound and identity.